This just looks… adorable… and funny… and so potentially & hilariously awkward. And the cover is so sweet. I must read this. I absolutely loved Jessica’s Flat-Out-Love and Flat-Out-Matt books, so I’m super excited to give this one a try as well! So much potential for epic awesomesauce! Don’t you think?! The Promise of Amazing sounds so cute and is on my wish list too!! 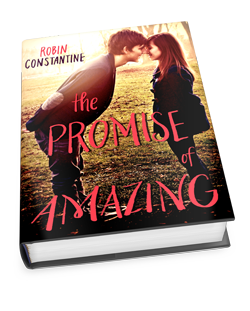 The cover for PROMISE… is so sweet! Noses! It does sound sweet. Good catch! I picked up LEFT DROWNING at BEA and have yet to get to it! This is one I grabbed in passing. 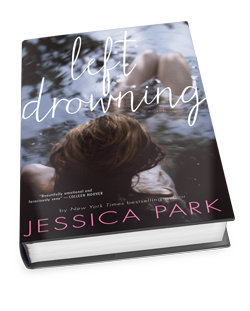 Really excited for Left Drowning. I loved Flat-Out love by the same author. The first book does look cute and funny. Love when two very different people collide. I had The Promise of Amazing as my WoW last week. The cover is too adorable! I can’t wait to read it. Left Drowning sounds really good.